Welcome to our monthly post of home sale statistics for our region and some hyper local markets! Below you will find the numbers for March. Please call or text The Belt Team at (703) 242-3975 or email info@thebeltteam.com to discuss in more detail what is happening in your market or if you are interested in buying and/or selling…we’d love to hear from you! • 11,647 homes went under contract in the region. This is up significantly (30.59%) from the same time period in 2018! 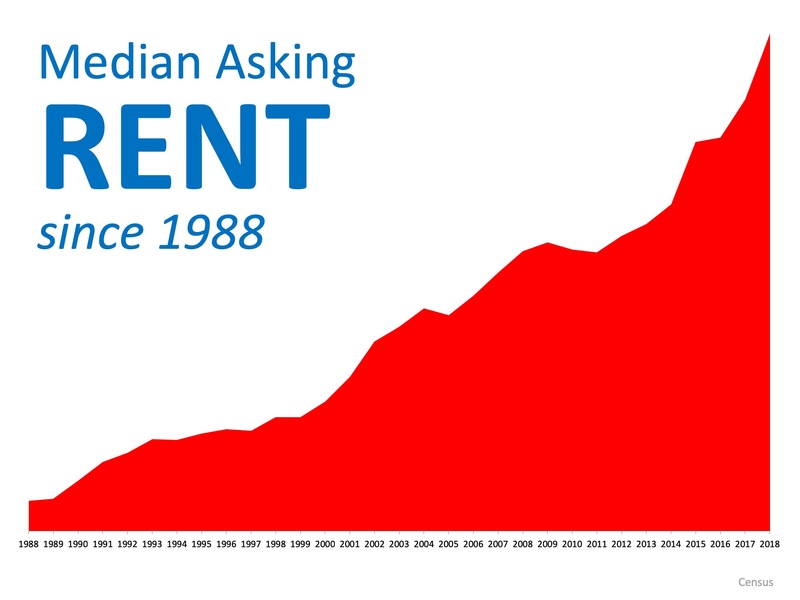 • 26% of the homes that went to settlement in March 2019, sold in 10 days or less from when they hit the market. • 20,338 homes came on the market. That’s down 1.4% from March 2018. • Homes that sold (closed) averaged 70 days on market, 11 days faster than in March of 2018. • There is currently a 2.5 month supply of homes (remember, in a balanced market – the demand from buyers equals the supply from sellers – there is a 5-6 months supply) in the Mid Atlantic Region – and 28,094 homes for sale (townhouse, condo and single family). OVERALL: The Mid-Atlantic Region remains in a Seller’s Market. The inventory continues to be low favoring sellers. Let’s take a deeper dive into the numbers of our local market areas, and see if there continues to be segments that are experiencing a somewhat different market. The upper-end price points in some areas have been experiencing more of a Balanced (even Buyers in some cases) market where prices are not appreciating and properties are sitting on the market longer. Whereas the lower price points have less inventory and homes are selling much faster. To see what the conditions are like in your community, click on the link to your desired city below! 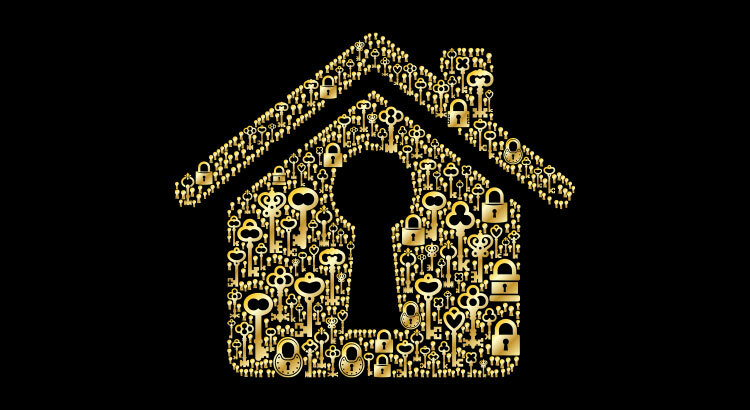 Remember…if you are thinking of buying and/or selling, contact us NOW (703-242-3975) to make sure you are working with an agent that will provide you with the data you need to make good decisions. The reality is that Buyers & Sellers who are successful in today’s market look at the data and act accordingly. All of this data about the variances in different price ranges is a perfect example of why. 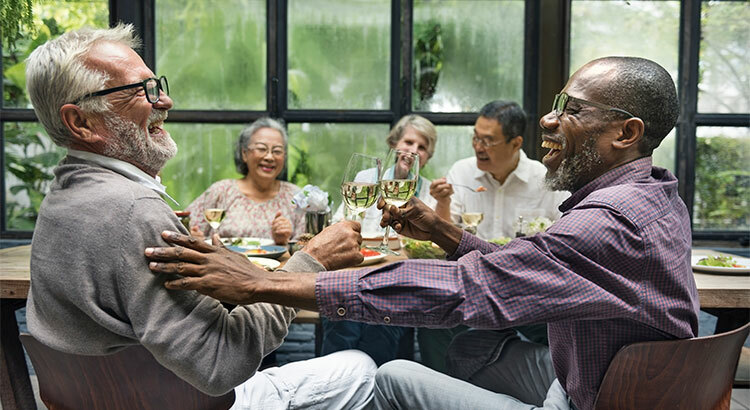 If you’re looking to buy, and you “make an offer” below list price – you might be successful in the upper ranges where there is a more abundant supply of homes. Taking that same action in the lower price range will likely mean you don’t get the house of your dreams. Someone else will. Thinking of selling or buying? Give us a call at 703-242-3975! 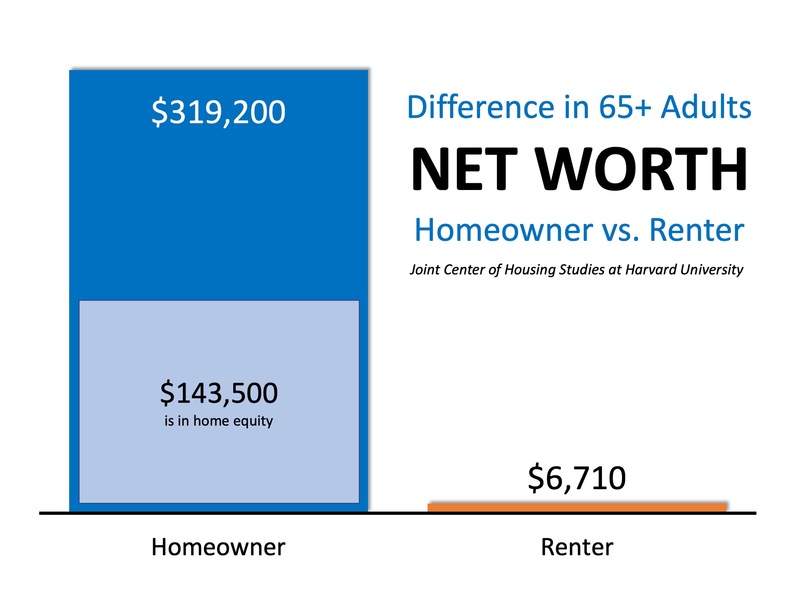 Every time a home sells in your neighborhood the equity in your home rises. Text BELTVALUE to 59559 for your current home valuation! 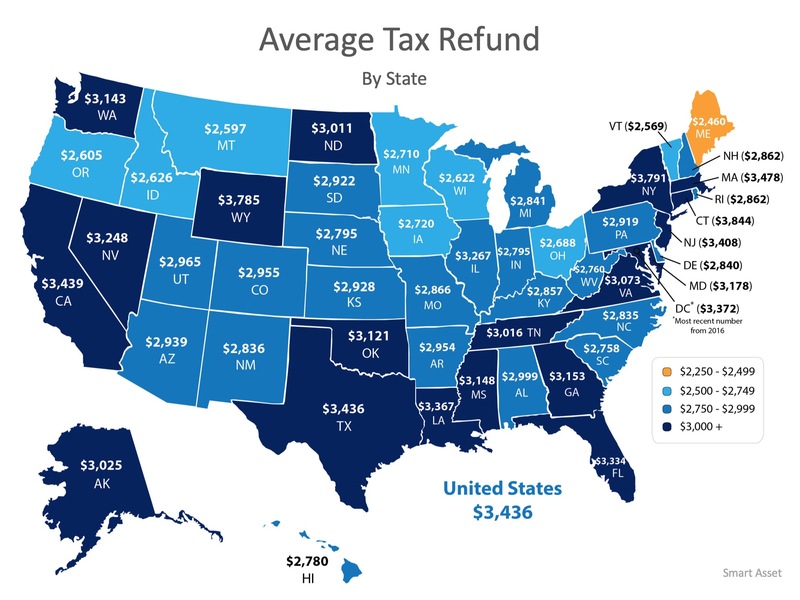 The map below shows the average tax refund Americans received last year by state.Many first-time buyers believe that a 20% down payment is required to qualify for a mortgage. Programs from the Federal Housing Authority, Freddie Mac, and Fannie Mae all allow for down payments as low as 3%. Veterans Affairs Loans allow many veterans to purchase a home with 0% down. 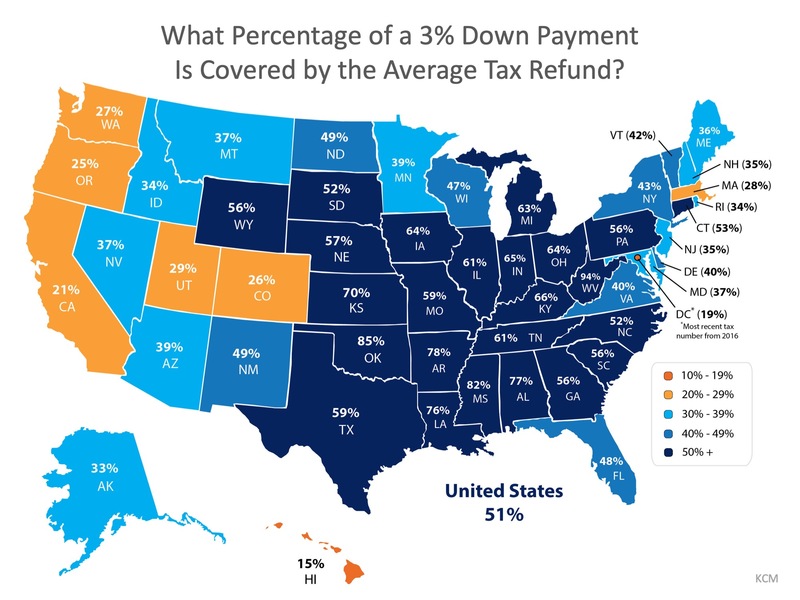 The darker the blue, the closer your tax refund gets you to homeownership! For those in Virginia looking to purchase their first homes, their tax refund could potentially get them 40% closer to that dream! Thinking about buying or know someone thinking about buying? Share this with them. They could be closer to their down payment than they think & we would love to help them along the way. Think you are ready to sell? Text BELTVALUE to 59559 for a FREE valuation of your home! Welcome to our monthly post of home sale statistics for our region and some hyper-local markets! Below you will find the numbers for February. Please call The Belt Team at (703) 242-3975 or email info@thebeltteam.com to discuss in more detail what is happening in your market or if you are interested in buying and/or selling…we’d love to hear from you! 11,840 homes went under contract in the region. This is down 1.94% from the same time period in 2018. 19% of the homes that went to settlement in February 2019, sold in 10 days or less from when they hit the market. 14,043 homes came on the market. That’s down 3.07% from February 2018. Homes that sold (closed) averaged 78 days on market, 9 days slower than in February of 2018. There is currently a 2.4 month supply of homes (remember, in a balanced market – the demand from buyers equals the supply from sellers – there is a 5-6 months supply) in the Mid Atlantic Region – and 26,637 homes for sale (townhouse, condo, and single family). 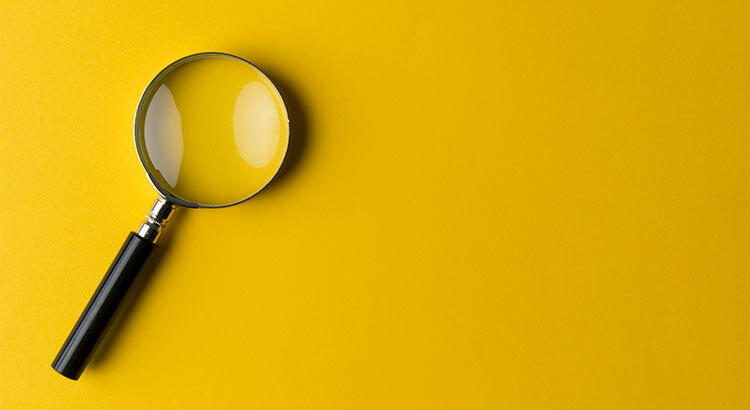 However, as you dig deeper into the numbers of our local market areas, you will find segments that are experiencing somewhat different market conditions. The upper-end price points in some areas are experiencing more of a Balanced (even Buyers in some cases) market where prices are not appreciating and properties are sitting on the market longer. Whereas the lower price points are less inventory and homes are selling much faster. And…if you are thinking of buying and/or selling, contact us NOW (703-242-3975) to make sure you are working with an agent that will provide you with the data you need to make good decisions. The reality is that Buyers & Sellers who are successful in today’s market look at the data and act accordingly. All of this data about the variances in different price ranges is a perfect example of why. 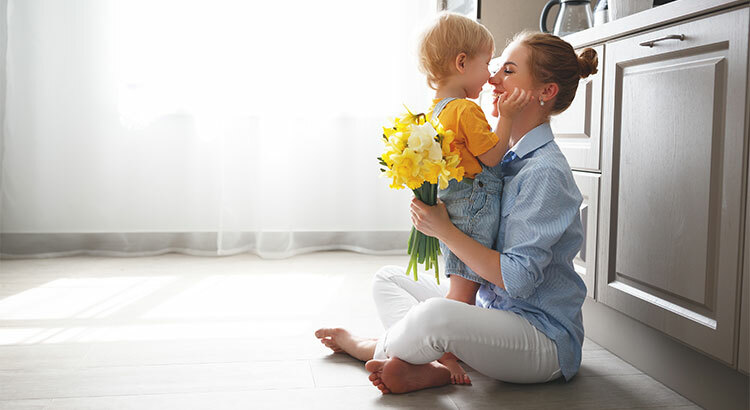 If you’re looking to buy, and you “make an offer” below list price – you might be successful in the upper ranges where there is a more abundant supply of homes. Taking that same action in the lower price range will likely mean you don’t get the house of your dreams. Someone else will. BUYERS: Did you know that Belt Team Buyers are eligible for our FREE Priority Notification List for new listings not yet in the MLS?! Call 703-242-3975 for details. SELLERS: Call The Belt Team at 703-242-3975 for our FREE Report “42 Questions To Ask Your Realtor BEFORE You Sell”. And find out how our listings sell FASTER and for MORE MONEY than the average agent’s listings. Or Text BELT to 59559 for a FREE home valuation! Give us a call with any questions you have. We are here to help! We can also connect you with some of the industries best lenders & title companies. The Belt Team, CEO, Terry Belt says, A difference now compared to the last cycle is that the economy is bustling at levels not seen since the mid/late 1980s and jobs are being created and consumer confidence and real wages are increasing. The last cycle all of these factors were all trending negative and also amidst a higher mortgage/interest rate environment. It is always a good time to buy or sell, and we are here to help! Let’s chat. Give us a call at 703-242-3975 or send us an email at info@thebeltteam.com . On The Belt Team, we take pride in being your local real estate “experts”! Part of that involves staying on top of market stats & trends. In this post, and on a monthly basis, we will share with you some of the home sale statistics we watch in our region and in our own backyard. 10,689 homes went under contract in the region. This is down 1.54% from the same time period in 2018. 16% of the homes that went to settlement in January 2019, sold in 10 days or less from when they hit the market. 12,625 homes came on the market. That’s up 3.14% from January 2018. Homes that sold (closed) averaged 78 days on market, 12 days slower than in January of 2018. 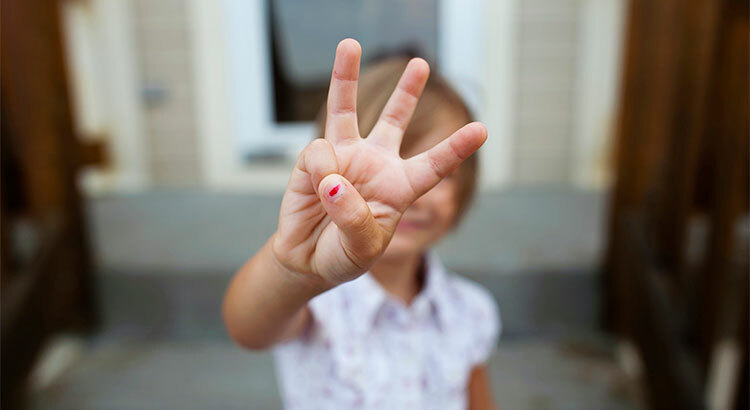 There is currently a 2.3 month supply of homes (remember, in a balanced market – the demand from buyers equals the supply from sellers – there is a 5-6 months supply) in the Mid Atlantic Region – and 26,560 homes for sale (townhouse, condo and single family). ﻿OVERALL: The Mid-Atlantic Region is still in a Seller’s Market. The inventory remains low…advantage Sellers! However, as you dig deeper into the numbers of our local market areas, you will find segments that are experiencing somewhat different market conditions. The upper-end price points in some areas are experiencing more of a Balanced (even Buyers in some cases) market where prices are not appreciating and properties are sitting on the market longer. Whereas the lower price points are seeing appreciation, there is less inventory and homes are selling much faster. SELLERS: Call The Belt Team at 703-242-3975 for our FREE Report “42 Questions To Ask Your Realtor BEFORE You Sell”. And find out how our listings sell FASTER and for MORE MONEY than the average agent’s listings.